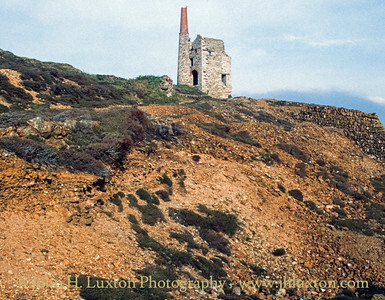 Tywarnehayle mine commenced working as Wheal Rock c1750, was renamed United Hills in 1809, and again as Tywarnehayle. From 1907 it was used as London's Royal School of Mines training mine, specialising in surveying and timber preservation. 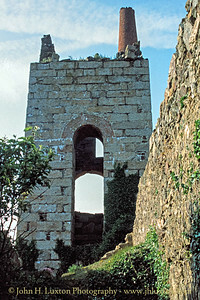 There are several surviving engine houses. At SW 6975 4726 is Taylor's pump engine house with a detached stack. The building housed a 58-inch diameter wooden beam engine, the last to be built in Cornwall. 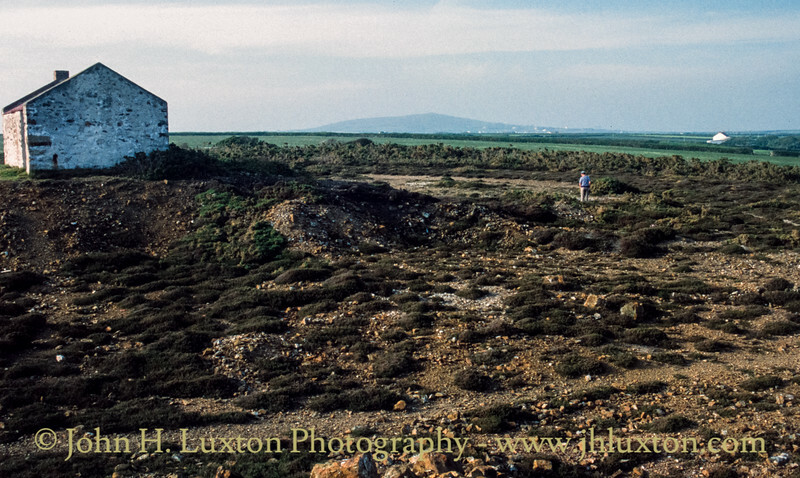 In 1906 the first electric pump to be used on a Cornish mine was installed here. 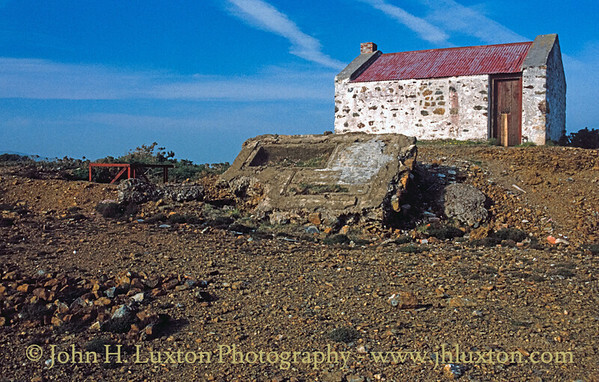 Also present at SW 6999 4722 is John's pump engine house which was built in 1861 to house a 70-inch diameter engine. 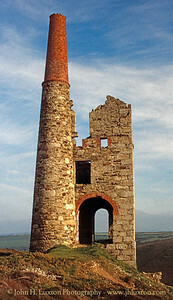 The engine was moved to Wheal Uny in 1864. Taylor's Shaft (Wheal Rock) Engine House reputedly to be one of the oldest surviing Cornish Engine Houses which housed a beam engine with a wooden beam which operated through the narrow slot opening at the top. 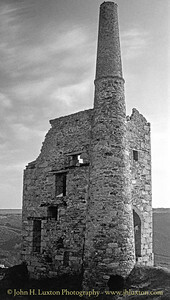 Taylor's Shaft (Wheal Rock) Engine House reputedly to be one of the oldest surviing Cornish Engine Houses which housed a beam engine with a wooden beam which operated through the narrow slot opening at the top. 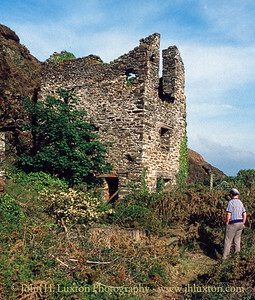 Interior of the engine house showing the location of the stairs to the upper floor. 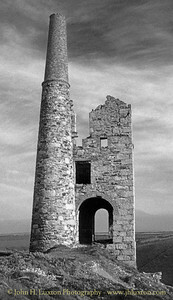 Taylor's Shaft (Wheal Rock) Engine House reputedly to be one of the oldest surviing Cornish Engine Houses which housed a beam engine with a wooden beam which operated through the narrow slot opening at the top. 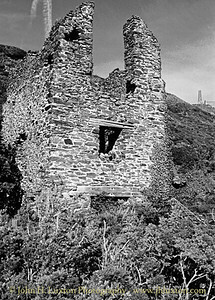 John's Shaft Enging House can be seen top right. Concrete footings at Taylor's Shaft near the engine house presumably installed when electric pumps were installed in 1906. John's Shaft engine house built to accommodated a 70 inch engine in 1861. 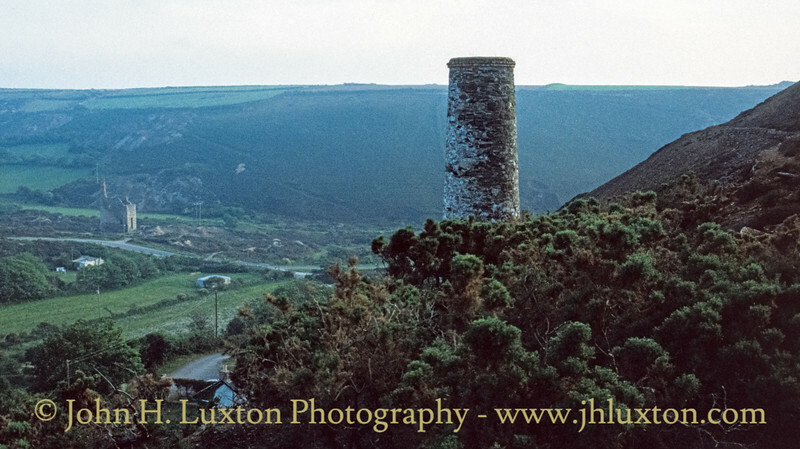 However, it was taken to Wheal Uny in 1864. The house having a very short working life. 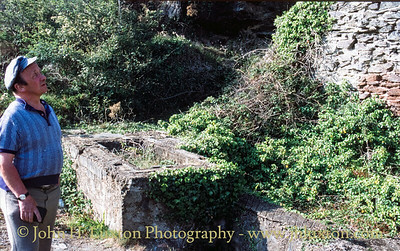 Remains of 20th Century concrete machine footings near James' Shaft with surviving building used by the Royal School of Mines. 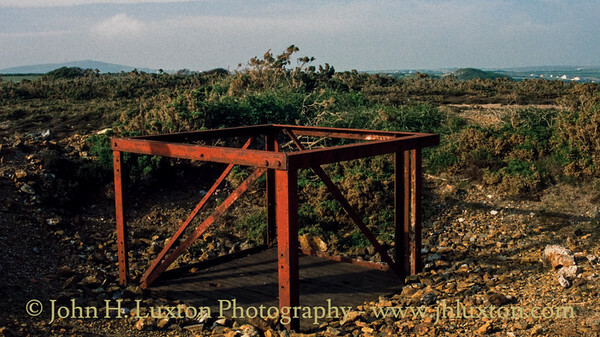 James' Shaft trap door used by the Royal School of Mines. 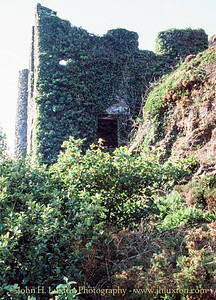 Area around James's Shaft my late father can be seen exploring. 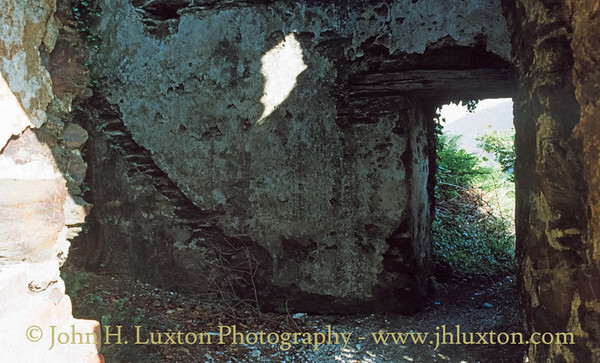 An against the light shot but one which reveals the location of Railway Adit. 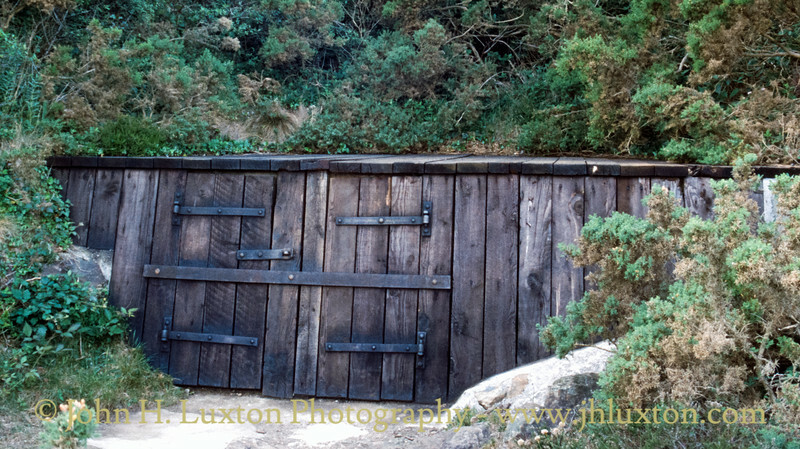 The secured entrance to the mine used by the Royal School of Mines at Gardiner's Shaft. 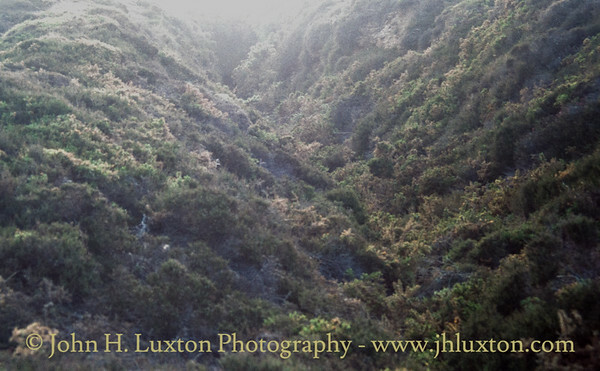 View from Tywarnehayle Mine to Wheal Ellen.